Drug eluting balloon plays a major role in modern healthcare, as it homogenously delivers medication to the vessel and prevents neointimal hyperplasia. The global drug eluting balloon market size was valued at US$ 420 million in 2017, and is expected to exhibit a CAGR of 8.1% over the forecast period (2018 – 2026). Drug eluting balloon is an angioplasty balloon, which plays a vital role in treatment of coronary artery disease. High prevalence of coronary artery disease is expected to propel demand for angioplasty and other treatments, which in turn is expected to drive the market growth. According to the World Health Organization (WHO), around 3.8 million men and 4.4 million women die, annually from coronary heart disease worldwide. Moreover, the number of deaths from age 15 to 59 is around 1332 thousands and for above 60 years of age is around 5825 thousands. Diabetes can damage blood vessels and nerves associated with heart and can lead to cardiovascular disease. Therefore, increasing prevalence of diabetes is expected to propel growth of the drug eluting balloon market over the forecast period. For instance, according to WHO’s, October 2018 report, around 1.6 million deaths are registered due to diabetes globally. Moreover, the global prevalence of diabetes among adults over 18 years of age is estimated to increase from 4.7% to 8.5% from 1980 to 2014. The adoption of drug eluting balloon is majorly preferred by surgeons due to its effective treatment of peripheral artery and coronary artery diseases. However, adverse effects such as coronary artery lesion and lumen enlargement are expected to hinder the market growth. For instance, in May 2017, Abbott recalled three balloon catheters due to difficulty in removing balloon sheath, which caused 19 reports of injury and 1 death. North America holds dominant position in the global drug eluting balloon market, owing to high prevalence of obesity, which further develops cardiovascular and coronary artery diseases. In October 2017, according to the National Center for Health Statistics (NCHS), estimated the prevalence of obesity in adults was around 39.8% and in youth 18.5% in the year 2015 -16 in the U.S. Increasing prevalence of cardiovascular diseases developed from tobacco and smoking in the region is also expected to boost the market growth. Similarly, according to WHO, in March 2018, around 7 million death were recorded due to tobacco use in which round 890,000 were due to second hand smoke globally. Moreover, increasing geriatric population that is prone to cardiovascular diseases is expected to propel demand for angioplasty, which in turn is expected to boost the market growth. For instance, according to CDC, in May 2016, around 19% of the population in the U.S. is projected to fall in the geriatric category by 2030. Moreover, in the U.S., around 40 million individuals above 65 years and above are affected by cardio vascular diseases. Major players operating in the global drug eluting balloon market include, Medtronic, Becton, Dickinson and Company (BD), Boston Scientific Corporation, Cook Medical, B. Braun Melsungen AG, Koninklijke Philips N.V., Opto Circuits (India) Limited, Terumo Corporation, Surmodics, Inc., and Biotronik. Drug eluting balloons are angioplasty balloons that are coated with an anti-proliferative drug, which is eluted in vessel walls during the inflation of balloon, usually at nominal pressure with a specific minimal inflation time. The active substance coated on the drug eluting balloon should be lipophilic in nature to have a high absorption rate through the vessel wall. Mostly paclitaxel is used as active ingredient due to its high pharmacokinetic transfer rate into the vessel wall and it is actively used in drug eluting balloons in the U.S. market and has been already approved for use in Europe. Increasing prevalence of coronary artery diseases is a major factor driving drug eluting balloon market growth. According to American College of Cardiology, June 2017, around 17.92 million cardiovascular deaths were registered in 2015 worldwide. 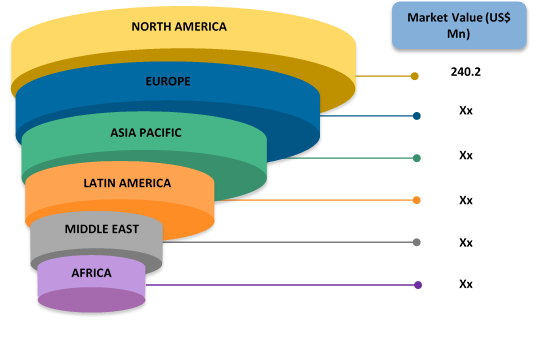 Moreover, key players in the market are focused on adopting acquisition strategies in order to gain access to innovative products and expand their product offerings in the potential markets. For instance, in April 2010, Medtronic acquired Invatec and affiliated companies. Invatec launched 4 new drug eluting balloons in Europe in 2009 including In.Pact Amphirion, In.Pact Admiral, In.Pact Pacific, and In.Pact Falcon. Medtronic is focused on enhancing its international presence by expanding treatment option for patients with cardiovascular disease. Key companies covered as a part of this study include, Medtronic, Becton, Dickinson and Company (BD), Boston Scientific Corporation, Cook Medical, B. Braun Melsungen AG, Koninklijke Philips N.V., Opto Circuits (India) Limited, Terumo Corporation, Surmodics, Inc., and Biotronik. *Browse 35 market data tables and 28 figures on "Drug Eluting Balloon Market - Global forecast to 2026”.